Why do we exist? This is arguably the most profound question there is and one that may seem completely outside the scope of particle physics. But our new experiment at CERN's Large Hadron Collider has taken us a step closer to figuring it out. 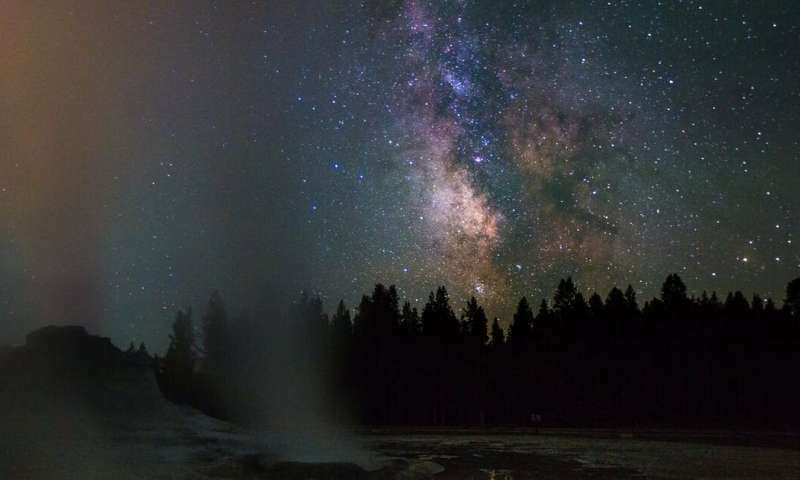 To understand why, let's go back in time some 13.8 billion years to the Big Bang. This event produced equal amounts of the matter you are made of and something called antimatter. It is believed that every particle has an antimatter companion that is virtually identical to itself, but with the opposite charge. When a particle and its antiparticle meet, they annihilate each other – disappearing in a burst of light. Antimatter particles should in principle be perfect mirror images of their normal companions. But experiments show this isn't always the case. Take for instance particles known as mesons, which are made of one quark and one anti-quark. Neutral mesons have a fascinating feature: they can spontaneously turn into their anti-meson and vice versa. In this process, the quark turns into an anti-quark or the anti-quark turns into a quark. But experiments have shown that this can happen more in one direction than the opposite one – creating more matter than antimatter over time. If this asymmetry is not coming from the same mechanism causing the strange and bottom quark asymmetries, this leaves room for new sources of matter-antimatter asymmetry that can add to the total such asymmetry in the early universe. And that's important as the few known cases of asymmetry can't explain why the universe contains so much matter. The charm discovery alone will not be sufficient to fill this gap, but it is an essential puzzle piece in the understanding of the interactions of fundamental particles. Antimatter is also at the heart of a number of other experiments. 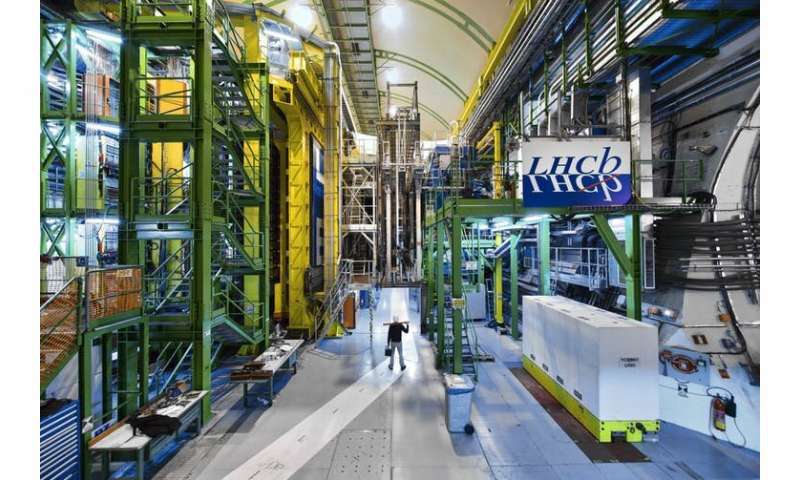 Whole anti-atoms are being produced at CERN's Antiproton Decelerator, which feeds a number of experiments conducting high precision measurements. The AMS-2 experiment aboard the International Space Station is on the lookout for antimatter of cosmic origin. And a number of current and future experiments will tackle the question of whether there is antimatter-matter asymmetry among neutrinos. This new and discovery cannot actually help us understand why we exist. But it may rule out one possible reason we might never have existed at all. Very good, now we finally get the much more revealing article from The Conversation, which was reprinted today by Scientific American as well as physorg. Fascinating. With the new Fermi Lab addition and the LHC upgrade surely exciting times ahead for those at the 'cutting edge'. Certainly the first I've heard of the D-Meson and the asymmetry thereof. As to 'why we exist' although the answer may be important, the journey towards it might reveal all sorts answers to other questions too. The D factory at the LHC has been operating for years, @Mimath. This is exactly what they were looking for. There's another article from today making these same announcements, though it's much less accurate than this one. I knew those bananas were a powerful food but they don't always take 75 minutes before taking affect. Ha, After reading the article I looked it up. Yep, D meson been around quite a while (ha)...actually quite a big gap in my Meson count. I wasn't aware of the B, rho and omega meson either. The other point that I'm unsure about about is that the article says D mesons are comprised of charm quarks and I (obviously) misunderstood that to mean charm anti-charm. But that combination is the psion meson the D meson being c anti(u,d or s). Oh well, live and learn. Yeah, mesons are pretty interesting. The thing about them is that they are bosons, not fermions like the quarks or the baryons. Made of matter-stuff, but acting like force carriers.